LG Design & Clipart Studio is the personal portfolio of Linnette Garcia, a WAHM (work at home mom) that loves all things artistic & has a knack for creating ideas. I love to mix it up, so you'll always find something fun & fresh at LG Design & Clipart Studios! 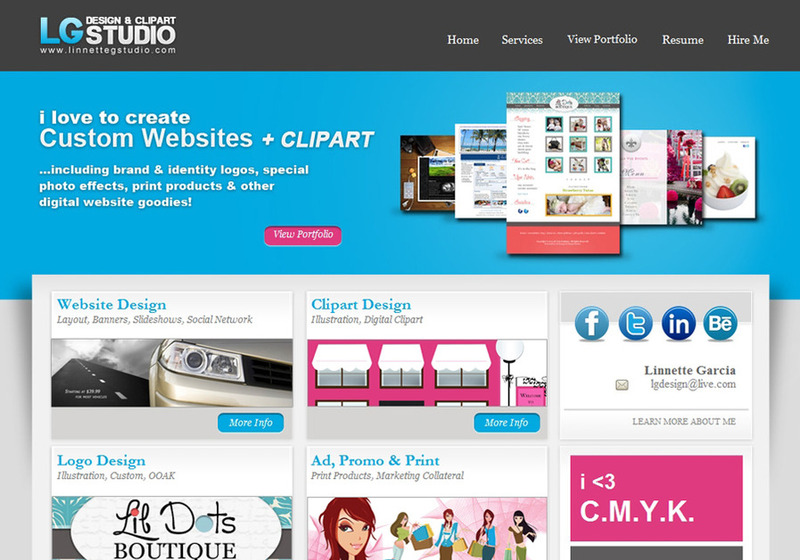 Offering a full suite of graphic, web & clipart design, photography, editing, promotional materials & other digital goodies. Custom & OOAK (one of a kind) items are my specialty! LG Design & Clipart Studio offers a full suite of graphic, web & clipart design, photography, editing, promotional materials & other digital / print goodies!